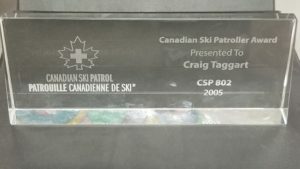 For past recipients of the national CSP award, the new recognition crystal wedge is now available for purchase. The cost of the wedge, including shipping is approximately $105. Completion of this form will constitute an agreement to order and pay for the product. You will be billed by the national office for the product. The final question will ask for a final confirmation of the information. 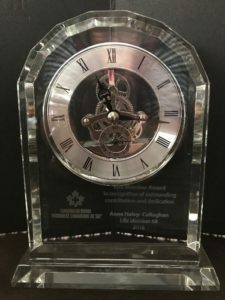 As well, for existing national life members, the new life member crystal clock is available for purchase. The cost of the clock, including shipping, is approximately $225. Completion of this form will constitute an agreement to order and pay for the product. You will be billed by the national office for the product. The final question will ask for a final confirmation of the information. The deadline for ordering either of these articles is March 31, 2019. ← Donation from long-time sponsor Johnson Inc.